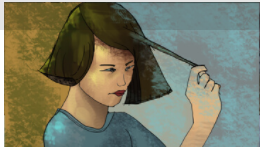 Trichotillomania (also referred to as TTM or "trich") is currently defined as an impulse control disorder but there are still questions about how it should be classified. It may seem to resemble a habit, an addiction, a tic disorder or obsessive-compulsive disorder. Most recently, it is being conceptualized as part of a family of "body-focused repetitive behaviors" (BRFBs) along with skin picking and nail biting.